This article is about Convert GeoJSON to GML. Here we are using GDAL utility (ogr2ogr) for conversion. This conversion become useful when you just wants to study or analysis the data in text format. In GML format stores data as text in tags. It makes easy for user to understand the details of attributes. Before conversion, lets look for GeoJSON and GML (Geography Markup Language) in detail. 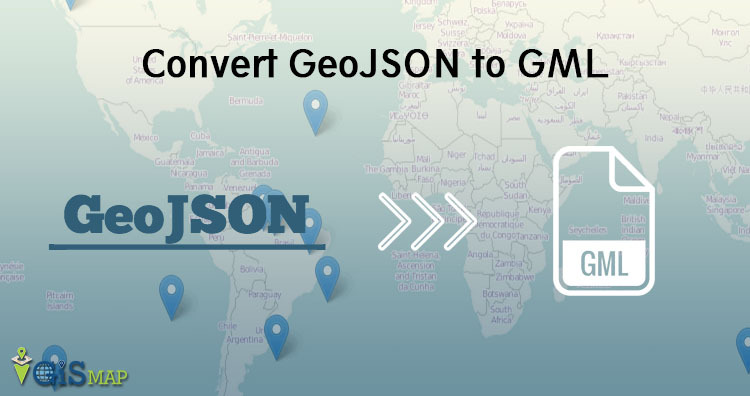 Lets look for specification of GML and GeoJSON file before moving for conversion, as you should be aware of how the files are structured, so that if conversion has any minor error then it can be corrected. If you know specification of both the files, then you may skip and navigate to convert. GML stores geographic information as text developed by the OpenGIS Consortium (OGC). GML is based on XML and it is not programming language. it is just data describing language. It provides bounding box in the starting of file in ‘Boundedby’ tag. Feature member is defined with geometry property, SRS (Spatial reference system) used, coordinates and attributes. Geojson data is open standard format, contains simple geographical feature with non-spatial data. In type, it has feature collection. That contains name, CRS (coordinate reference system) and features. These features can be line, point, polygon, Multi-Line string and multi-polygon. Properties contains all attribute information. 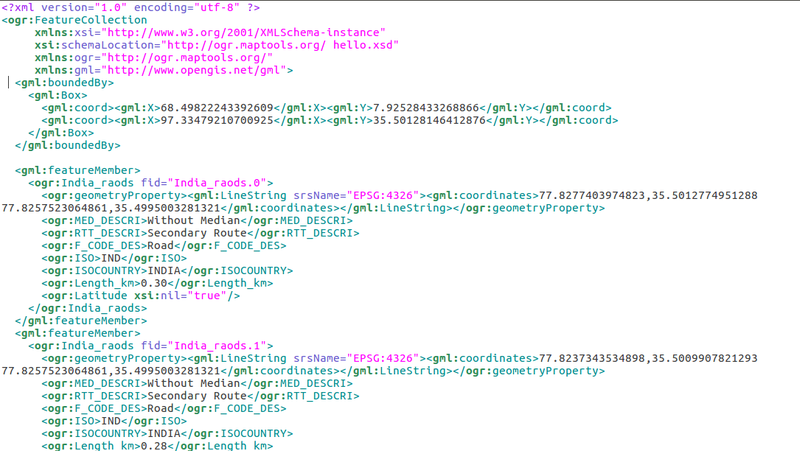 For converting GeoJSON to GML we need to have GDAL library in system. you can follow the commands to download the library. The presence of this utility can be tested by typing ogr2ogr in command prompt. Convert GeoJSON to GML is an easy process, we also can assign the SRS (Spatial reference system) to the generated output file. ogr2ogr have various options, which can be used while converting file in other format. Here -f is an option for output file format. 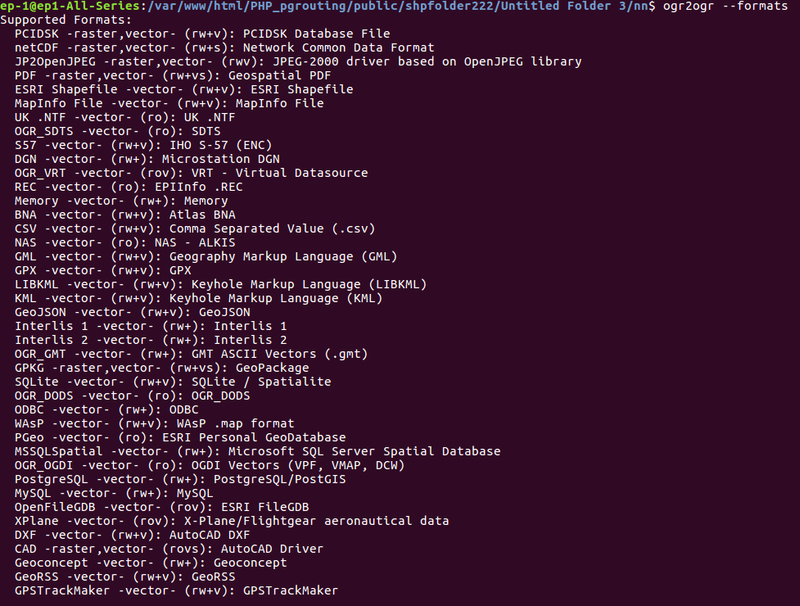 The ‘GML’ is driver available for converting file in GML. The Generated file can be open in any test editor. We can also help you out in conversion like Shapefile to geopackage, KML to GML , shapefile to TopoJSON and many more. Feel free to comment in given box for any help or suggestions.